Typhoon Ruby or Hagupit made Cebu Gov. Hilario Davide declares No Classes in all levels in Cebu Province. 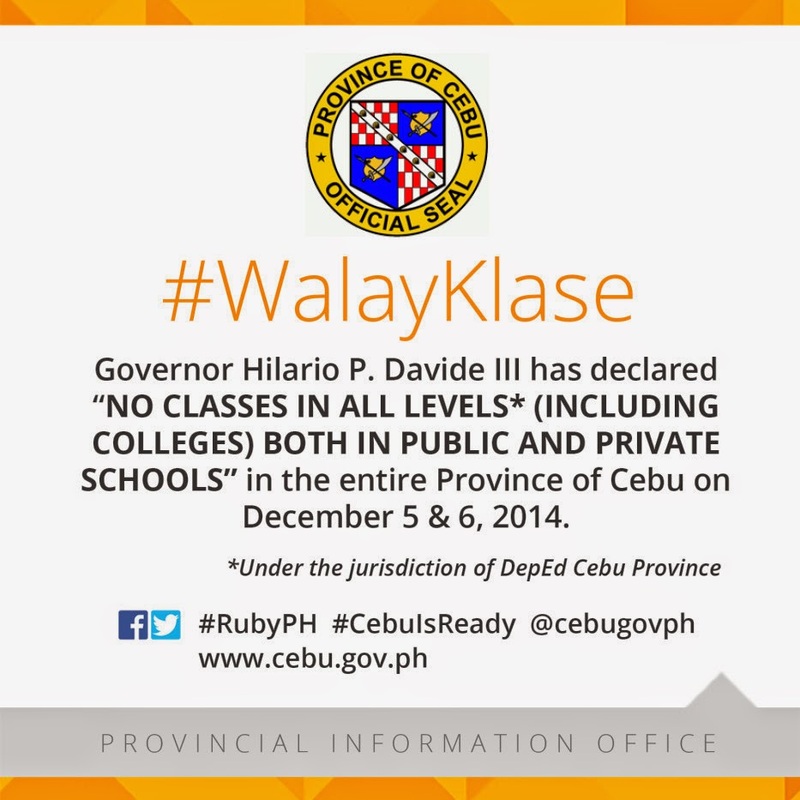 #Cebu Governor Hilario P. #Davide has declared NO CLASSES in all levels (including colleges) in PUBLIC AND PRIVATE Schools in the entire Province of Cebu on December 5-6, 2014. This declaration is only for the areas under the jurisdiction of DepEd Cebu Province. The Department of Education offices of Cebu City, Mandaue City, Lapulapu City, Talisay City and Danao City will have to make their own declaration. Visit www.depedcebuprovince.ph for your reference. Please monitor for more updates. Thank you.